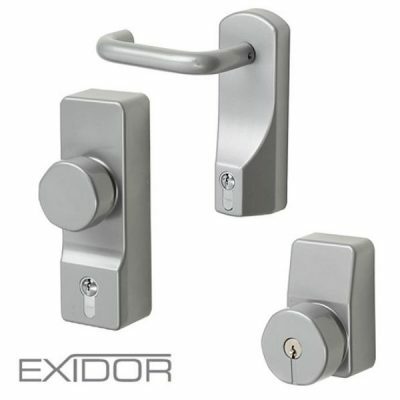 Exidor Panic Hardware at trade prices, from just £40+VAT. We are an authorised Exidor panic bar & OAD retailer, offering the best prices online. Enquire for bulk discounts! Our full range of fire exit doors come fitted with Exidor hardware as standard. 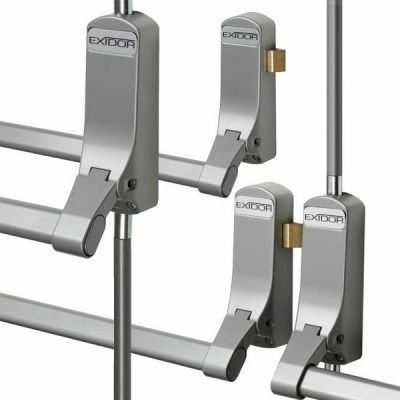 You may wish to purchase Exidor hardware for replacement parts for our fire exit doors, or separately for a new panic door installation. Our standard duty fire exit door comes fitted with an Exidor 296 panic bar. Our heavy duty fire exit door comes fitted with an Exidor 294a panic bar with adjustable shoots. Finally our double fire exit doors come fitted with a combination of those Exidor panic bars, the 285a. For further information view the brochure here and certification here.